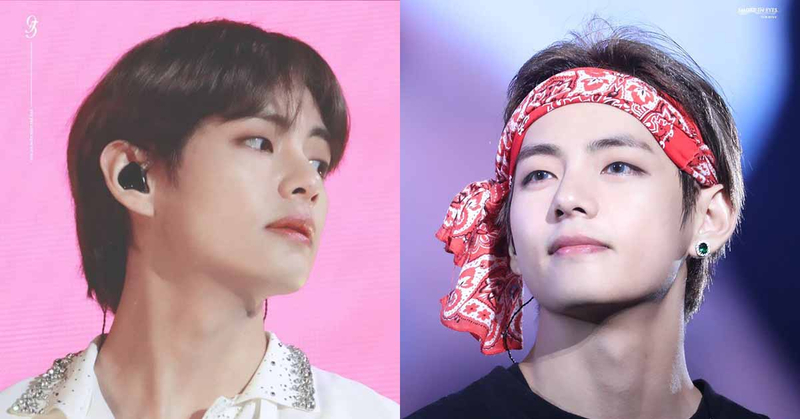 BTS' V put fans in awe at his beauty once again, this time, by changing his blonde hair to darker color. On October 2, BTS' LOVE YOURSELF tour concert was held in Chicago. 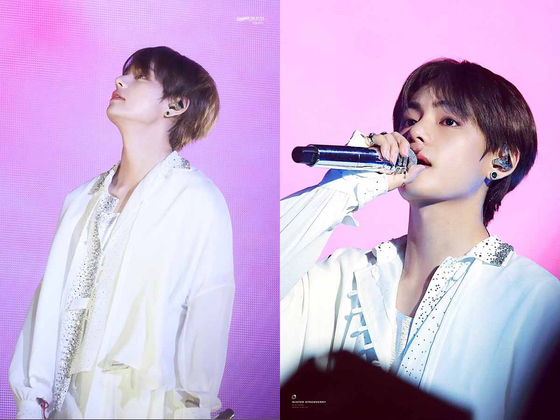 The member who grabbed fans' attention the most that night was V.
While he had been maintaining bright hair colors until now, he amazed fans by appearing with black hair. 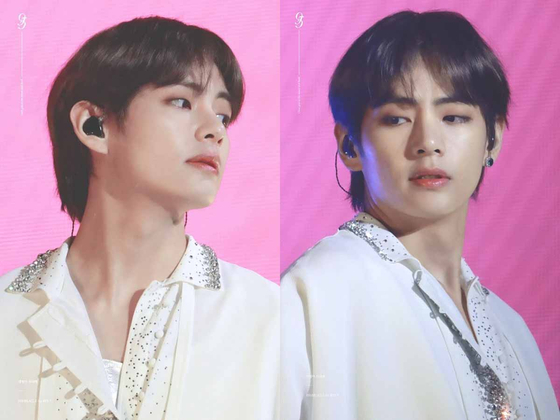 With his hair dyed in blackish brown, the cool and energetic image he previously had with blonde hair, transformed into a more delicate and classic mood. 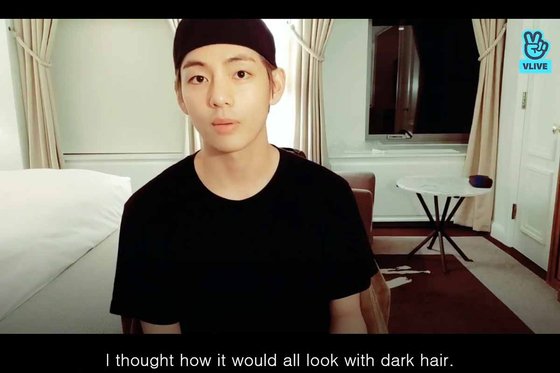 On October 5, V himself mentioned about his hair color change on V Live. 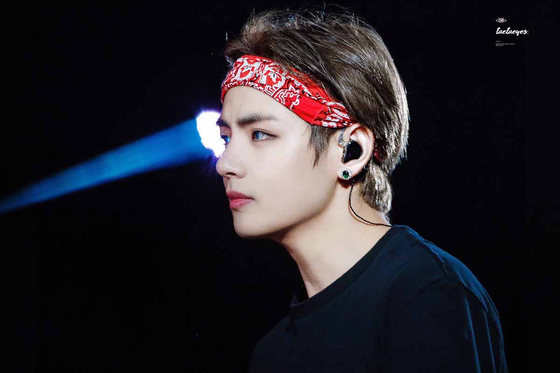 About the reason he dyed his hair dark, he explained, "I wondered what it would be like to perform our new songs like IDOL and I'm Fine in black hair. I thought ARMYs would be curious about it too. So I dyed my hair when about half of our tour is left." As if he knows about his fans' enthusiastic response, he added, "If ARMYs like it, I'm happy too." 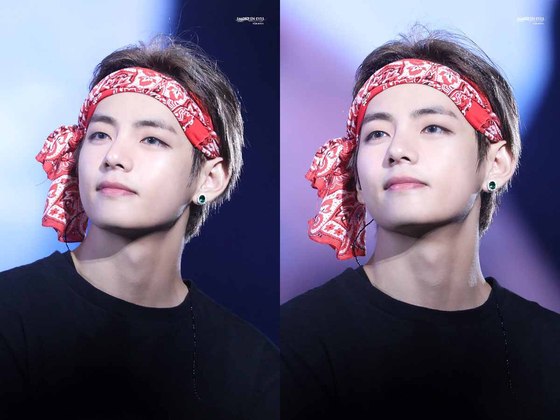 Now, take some time to appreciate V's ethereal handsomeness that stood out even more in darker hair!